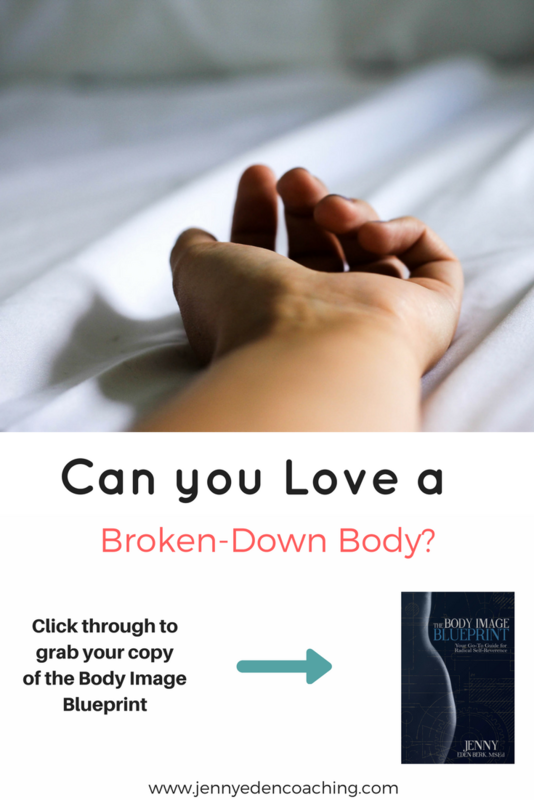 Can you Love a Broken-Down Body? Look, learning to love and accept your body, in the present moment, no matter its size, shape, flaws and peculiarities is hard enough for millions of women and men. I have a theory about this. My theory is that the process of puberty is so jarring, so alien and so uncomfortable for tweens and teens that it often precludes them to staying conscious during these changes and later on make it difficult to accept when those same bodies go through any other kind of metamorphosis. Having had worked in obesity treatment for 13 years prior to opening up my practice I saw this time and again. Even when people had lost vast amounts of weight, there was still lingering fears, identity crises and insecurities abound. Many lamented that they had expected to finally be happy after losing a lot of weight. Surprisingly though, many ended up just shifting their worries to keeping off the weight and concerns about sustaining the often herculean efforts they made to lose it in the first place. Many felt alien in their new bodies and had trouble identifying with their smaller selves. While now considered to be at a “healthy” body weight, according to BMI, they still squarely identified themselves more and saw themselves still in a larger body. So, what about a sick body? An injured body? A body in stress or crisis. Can even the most body-positive person still hold space of love, admiration and even acceptance for a body in breakdown? This is what I was confronted with this week and let me share how it all went down. I was earnestly looking to help out my husband who normally is in charge of all things driveway maintenance including shoveling, raking and the like. So when Boston had a quick and dirty snow storm this past Thursday, I was feeling pretty great about myself when I slogged out there to take some ownership of the situation and give my hard-working hubby a break. I even busted out the snow-pants! I was only 5 minute into the shoveling process, with the help of my 7-year old and 10-year old when I felt the familiar snap, pop of my back giving out on me. I screamed in abject pain but when I straightened up, it really didn’t seem as bad as when this has happened to me in the past, and it hadn’t happened for 3 years so I mistakenly thought I was in the clear and kept going. I only lasted another two minutes of shoveling very heavy, wet snow before I felt a major pop this time and I knew it was over. I shuffled (ok, crawled) into the house and yelled and cried my way to my bed. I iced, medicated and rested (and researched) in an effort to heal quickly but was confronted with the fact that this was not a quick fix. I had to force myself to slow down, and to truly rest to recuperate. (not easy for me). 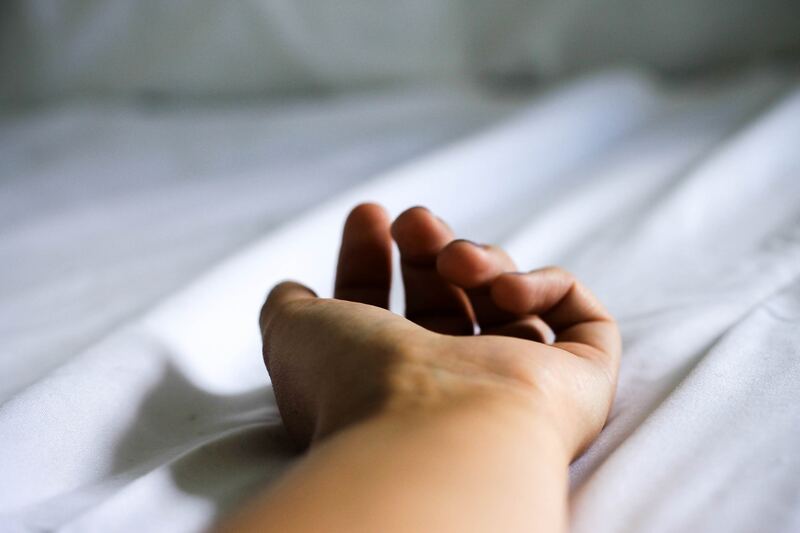 In those first few days of pain, I felt myriad emotions: disappointment, worry, embarrassment and even anger at my body. “I don’t have time for a set-back like this”, I thought. In the past, this would have set me off in a tailspin of restricting calories to offset the forced rest. I won’t allow it to this time but I am not going to lie….the allure is palpable. I felt as it did when I broke my foot two years ago: worried and desperate. I also made a choice to tolerate the pain and discomfort this time and not just will it away or numb out to it with a feeling-sorry-for-myself binge (ahhh, those used to be the best). But it did get me thinking about how one feels about an injured body. It took me many years to eschew dieting culture once and for all and I am not going back. That is for sure. But, truth be told, it’s hard not to be angry at a broken-down body. It’s hard to not feel like it’s throwing me under the bus or punishing me for something. It’s hard to love and accept a body that is in inflammation and in painful spasm. I don’t want to accept that body. As Americans, not only do we create conditions on our ability to love our bodies based on its size, but I now realize even more acutely that we also create judgements and conditional love based on it’s abilities, its age and it’s sense of efficacy or strength. I realized I felt “less than” in an injured body than when I am strong and agile and active. Think about what that portends for us as we all age. No body is “less than” and we need to stop acting like it is. As one of my mentors, Chantelle Adams, preaches in one of her signature speeches…(sic) “a stomped on, crumpled up, torn up, dirty and/or old $20 bill is still worth $20. No matter its form or condition, the worth is still the same. My injured body is just as worthy as my strong and healthy. Yours is too. We must be able to flip the script and start honoring and accepting all bodies. Whether injured or top of game, ill or healthy, fat or thin, and at age 80 or at 20. None of us can escape one of these outcomes at some point in our lives. To judge others is to judge ourselves, eventually. Can we make an inspired and conscious choice to love whatever form or condition our bodies are in currently and also in the future? How would aiming for this unconditional self-regard for our corporal vessels change our behaviors, our mindset and our ability to be happy? I don’t have all the answers in this post but it’s something I’m working through as I progress on my body-positive path and help others do the same. I welcome your thoughts and comments and hope we can continue this conversation. Ready to heal your relationship with YOUR body? Order your copy of my best-selling book, The Body Image Blueprint: Your go-to guide for radical self-reference today! http://www.backfitpro.com/books/back-mechanic-the-mcgill-method-to-fix-back-pain/ This is not an afiliate or spam, I follow his advice and my back is 100% better. He’s who teach doctors and chiropractors how to heal the back by healing your core. Enjoy!